Blind Spot Assist and Adaptive Main Beam Assist both inoperative? My Blind Spot starting playing up and then totally became inoperative. Now the Adaptive Main Beam is in operative. Any suggestions? Last edited by Shaney75; 03-10-2018 at 01:20 PM. Yes. Check your battery state of charge. Aux. battery could be going bad. Thank you for your replies. I will check the auxiliary battery as suggested. Does the blind spot and adaptive main beam work solely off this battery? Check both batteries. If your ECO function is not working, it will be the smaller battery in the trunk. You may need to replace both if they are weak. These cars need strong battery state of charge to operate all functions, or features will go into suspension mode. Spoke briefly to MB dealership, they think it could be the camera in the front windscreen causing the issue but I’m not too sure about that. Any comments would be appreciated. Thank you in advance. The camera in your windshield is for the lane keeping assist and auto high beam. Your distronic sensor is the star in your front grill, while your blind spot sensors are buried behind your rear fenders. I think whoever you spoke with has no clue what manufacturer they work for. Lol. Start with the easiest solution always; batteries. Many thanks KEY08, your advice is very much appreciated. Had my main battery checked, when engine is running its achieving 14.6 volts. It came up on the tester as “GOOD - NEEDS CHARGING”. Started off around 10.5 volts but went up to 14.6. Not sure what the auxiliary battery should read. Last edited by Shaney75; 03-10-2018 at 01:18 PM. 10.6 is a dead battery. 12.6v is a full charged battery. 14.6v is fine while charging, but that just means your alternator is functioning properly. You could load test the battery, but I can already tell your battery is toast and is the cause of your problems. 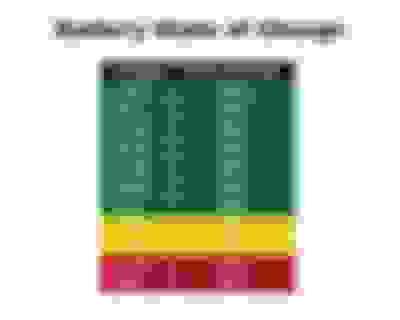 Look at this battery state of charge chart. At 12.2v your battery is only at 60%. Thank you for the information it’s greatly appreciated. 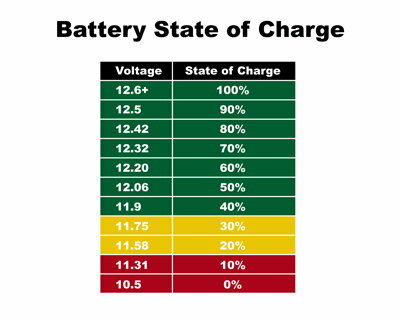 Just checked car’s main battery again and measuring 11.9volts, which I can see by your chart that this is well below where it needs to be. Do you think the auxiliary battery will be ok? If the main battery is original to the car then it needs to be replaced and the same goes for the aux. battery. This past year I had to replace both on my 2011 E63. If you leave a malfunctioning battery in a car it can damage other electrical equipment.. Many thanks for that. Is changing both the auxiliary battery and the main battery something you can do yourself? Or do you need to reset using diagnostic equipment? Yes, you can replace yourself. You may need to reset your clock or possibly your window/sunroof. The hardest part is lifting the main battery into place as they are heavy. Same thing has happened to our 2012 e-350. Can you post if the replacement of the auxiliary battery worked? Quick Reply: Blind Spot Assist and Adaptive Main Beam Assist both inoperative?